The Vest Pocket Kodak has lots going for it: it really slick looking, it was built in my home town, and it was an absolute best seller (at least from 1912-1926). And even though it's a classic, they aren't particularly expensive to buy today. There's just one teensy weensy problem: how the heck are you going get film for it? And are you going to be OK with either having to build your own dark room or pay exorbitant prices to get the film developed? You could do some goofy camera obscura hack, perhaps, but there's got to be a better way. 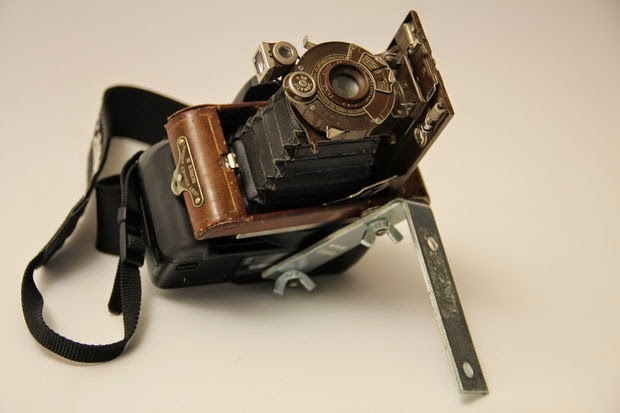 Next time I stumble over an ancient Kodak at flea market or antique shop, I'm totally giving this hack a try.